BusinessNewsDaily.com notes that CIOs and business-minded technology leaders are moving beyond being supportive functions and into being an integrated part of overall business strategy and operations. IT is delivering added value, enhanced business performance, and greater security. 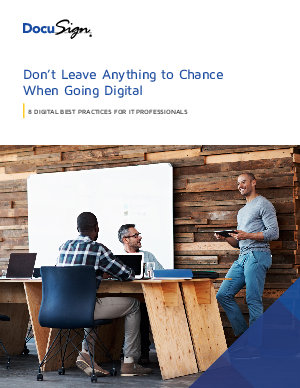 This best practices paper outlines eight important ways that IT teams can make meaningful progress in their digital transformations.